When starting a food truck, there are a few tips that can help you stay ahead of the game. 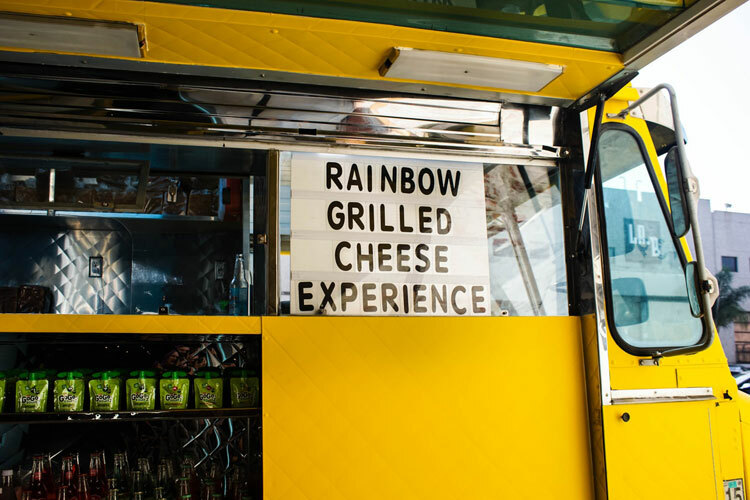 Here, we’ll give you six tips that you can utilize to start the food truck business successfully, and so that you can get the most out of your business right away. Before you even begin, make sure that you have a license. You can’t just drive a cart up to wherever you want, and that’s because cities have various sanctions that you need to have in place, including permits, health department certificates, and also some parking restriction. Know about these before you begin. There are some places where there is a cap on the number of permits, so before you start, make sure that you know what the rules are so that you don’t get ticketed or towed. The SBA (U.S. Small Business Administration) is a great place to start to find the information you need on permits and licensing in your area. Determining the niche is something that you need to do, especially in places where there are already way too many food trucks. Having this will allow you to stand out from the rest of the crowd. You should look at what the region is like for food trucks, who is the competition, what they are doing right and wrong, and what kind of customer base do you want to attract, along with what they like to eat, and any foods you prefer serving. You should also look at your capabilities as well before you begin. The biggest thing to take from this is don’t start a food truck business because you think you’re going to get a lot of profit and returns, but instead, do it because you want to. Mobile food businesses aren’t built around just making money, but you need to have talents and other such parts to have better success. You don’t want to create just a profitable mobile business, but you want to have your heart in it too. Otherwise, you won’t be successful. With that as well, if you don’t know something, get the help that you need to learn it. Surround yourself with other food truck operators that understands the business, how to use the latest restaurant POS technology, and who can help you learn the ropes. You can’t do this alone, so make sure that you realize this since it will help to make a huge difference when starting up. Get help, so that you can be successful. Now for startups, you need to play by the rules, but you also want to make sure that you pick the right location. Some don’t allow advertising in public spaces, and some don’t allow you to sit there all day. Location is essential, and first and foremost, figure out where you’re allowed to set up, whether it is local laws or ordinances, or landowners and property managers that might affect this. Also, look at the competition, especially food trucks that do exist, and local restaurants, and you should make sure that you follow their rules so that you’re not parking in the wrong territory. Figure out a schedule too. Remember, you own the business, so you don’t have to work a 9-5, but again, you want to be in the best place to serve customers. For example, if you prefer working at night, consider catering to concert-goers, and not just the office clientele. This is dependent on a budget. If you’re working with a tighter budget, then consider a food cart. You can get these for about $2000, and they are more affordable than trucks, which are about ten times the amount, sometimes fifty times. Food trucks can be about 100 grand in some cases. Why? Well, hearth departments have different standards for these trucks, so you need to make sure that you put that in there, so it isn’t just the body of the truck, it’s also the equipment of the truck too. You can look at local sites like Craigslist or search for websites that offer food trucks for sale like RoamingHunger.com to find different models that are affordable. But of course, before you settle, you need to plan out exactly what’s required for the business. If you plan to sell hot foods, you’ll either need to prepare these at home or in a kitchen or keep it in a cart. You need to figure out how you’re going to cook the food and make sure that you do it right. Finally, use a POS System (from POSQUOTE.COM), this goes for carts and trucks. These are so helpful because not only do they take inventory, but they also can process payments, and if you have other people working, it can do payroll, and even send out offers, and if you want to put together a loyalty program you can. Of course, for a food truck business that’s not as needed, but if you’re thinking of possibly having more than one truck, or if you plan to expand, always make sure that you have one of these. A loyalty plan is just one of the benefits of a POS that can be super helpful, and they can make a difference in how you run a business. Food trucks aren’t as easy as you think they are. They involve hard work, a lot of dedication and time, and ultimately can be a bit of a grind to start and to be successful. But, with the right mindset, and the right ideas, you can get yourself together and armed, so that you too can have the best food service truck business imaginable. You’ll be happy if you have this all in place as a startup, so make sure you do the right thing whenever you can make the correct decisions when possible.